On Monday, May 14th, the Electronic Frontier Foundation (EFF) reported that European researchers had discovered core problems and commonplace implementation flaws in the S/MIME and OpenPGP protocol specifications. 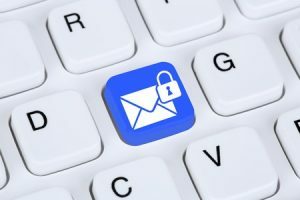 The vulnerability, which the researchers have described as EFAIL, can reportedly expose the content of encrypted emails (even messages sent in the past) to be viewed. The EFAIL vulnerability affects many email clients that use S/MIME and OpenPGP. There is a list of email clients with vulnerabilities by protocol in an article posted at thehackernews.com. It’s very important to understand that to be at risk for this vulnerability, attackers would need access to your emails. This means that your email system has been compromised by an attacker who has access to the encrypted emails through tactics such as eavesdropping on network traffic (also known as a man-in-the-middle (MITM) attack), compromised email accounts, access to email servers, backup systems or client computers, usually achieved through social engineering attacks, such as Phishing and other tactics. We have checked our own web-based email client (MDaemon Webmail) and our MDaemon OpenPGP-based encryption feature. Our results show that MDaemon Webmail is not vulnerable. However, the MDaemon email server OpenPGP feature is partially vulnerable to one implementation flaw. We have released a patch for affected versions of MDaemon email software, which can be found here. The current version of the MDaemon email server, v18.0.1, includes this fix. This latest issue should remind us all about the importance of email security practices as a whole. Implementing strong passwords, two-factor authentication, location screening, SSL/TLS, SMTP AUTH, IP Shielding, dynamic screening, freezing accounts after failed authentication attempts, all play a role in helping to keep your accounts and your email safe. You can review a list of email security features in MDaemon here. If you’ve implemented security to help protect malicious people from accessing your email accounts, then you are less likely to have an account compromised and you will be better protected against these types of attacks and vulnerabilities. While the researchers go into some depth to expose issues deep within the S/MIME and OpenPGP specification documents, these encryption protocols may need specification changes to address the longer-term issues mentioned in the initial report. MDaemon Technologies will continue to monitor this issue. Are You Taking the Security of Your Email Account Seriously? Introducing SecurityGateway 5.0, with New Location Screening, Terms of Service Agreements, and More! Never lose an important message. Organize your Inbox with message Categories! MDaemon’s webmail client is loaded with a variety of features for organization, collaboration and security. As a daily user of MDaemon Webmail (I use it almost exclusively instead of my desktop email client), I like to keep important messages organized so I can find them later. This is made easy with message categories (in addition to follow-up flags). Within the MDaemon webmail client, you’ll find a variety of built-in categories, or you can create your own custom categories. Multiple categories can be assigned to a message, and messages can be arranged by category, keeping all of your important messages in one, easy-to-find place. Check out our latest tutorial video to learn more, or if you’re not yet an MDaemon user, click here to download your free trial! If you’re like me, you like shortcuts that make life easier when performing common tasks. For example, if you work in finance or accounting, wouldn’t it be nice to be able to pull up all emails with the word “invoice” with a single mouse click? Well now you can. 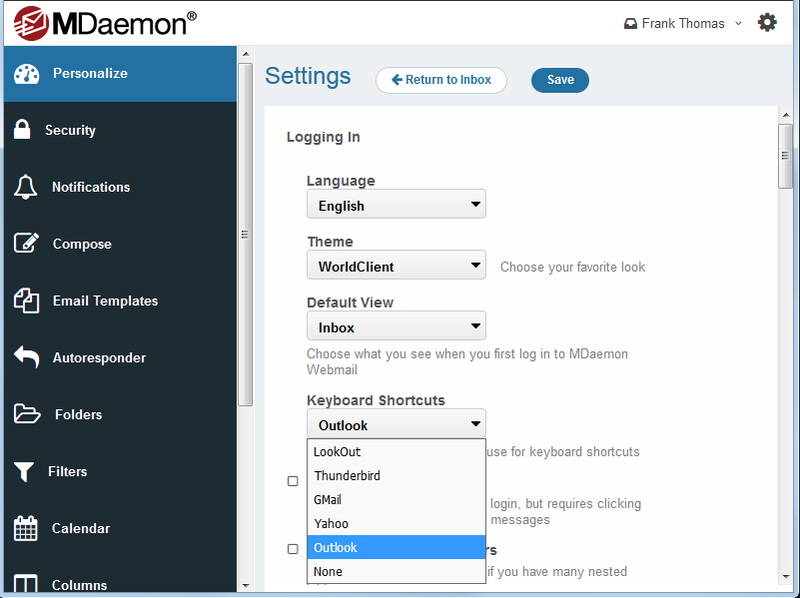 With the latest release of MDaemon, we introduced search folders in MDaemon Webmail. This week’s 30-Second Email Tips video will walk you through the setup process. Search folders were added in MDaemon 17.5.1. If you’re running an older version of MDaemon, you could be missing out on some great new features! If you’re not currently using MDaemon, but would like to try it out, click here to download your free 30-day trial! We live in an era where the amount of valuable data businesses must store is increasing at an unprecedented pace. 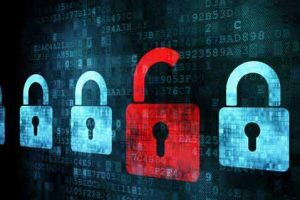 Consequently, the number of “bad guys” trying to gain access to that data is also increasing, and hackers have some pretty sophisticated tools at their disposal to try to force their way into your data. They use a variety of tactics, including social engineering, brute force attacks and dictionary attacks, among others. The problem is made worse by the prevalence of weak passwords. Did you know that, even in 2017, one of the most common passwords is 12345678? In an experiment conducted in 2013, with the help of a list of hashed passwords obtained online, hackers were able to crack about 90% of a list of over 16,000 passwords. Passwords are not just vulnerable to external threats. They must be protected from internal threats as well. Have you ever written down a password on a piece of paper, and then thrown it in the garbage? Have you ever discarded an old hard drive without destroying it? If this information gets in the wrong hands, it can lead to severe financial loss for a company, and damage to its reputation. Passwords and usernames fall within the category of “something you know.” The three items listed above are considered factors of authentication, so when only one type of data is used to log into a system (such as a username and password), you are using a single factor of authentication. Passwords alone are often not enough to protect your data against increasingly sophisticated attacks. Requiring a second factor of authentication can drastically reduce data theft. MDaemon includes two-factor authentication for WorldClient, MDaemon’s webmail client. 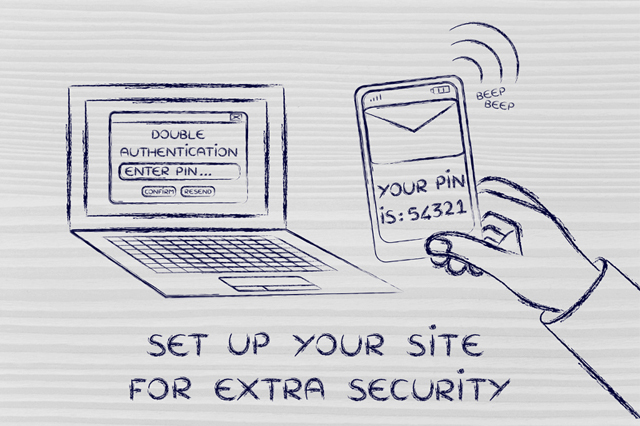 With two-factor authentication, users must provide two forms of authentication – a password and a unique verification code that is obtained via any client that supports Google Authenticator (available in the Google Play store). It provides an extra layer of defense when a password isn’t strong enough. It reduces online identity theft, phishing, and other techniques because a victim’s password isn’t enough to gain access to his or her data. It helps companies in finance, health care, and other industries comply with PCI, HIPAA and other regulations. It makes working remotely safer. In this video, we demonstrate how to enable and use two-factor authentication in MDaemon and WorldClient. If you’re concerned about privacy and security, two-factor authentication provides extra protection for your data. Download the latest version of MDaemon to take advantage of this extra security! MailStore works with virtually all email platforms and clients, and is the recommended choice for small-to-medium businesses worldwide. If you have questions or would like a personal demo, leave a comment below & let me know! In MDaemon 17, we added support for DropBox integration for WorldClient, MDaemon’s web-based email client. Now, users can easily save attachments in inbound messages to their DropBox account, or insert links to their DropBox files in outbound attachments. Because files are stored in DropBox and not on the mail server, disk space and bandwidth are reduced. We’ve put together the following tutorial video to help you get started with WorldClient’s DropBox file sharing features. If you’re not yet an MDaemon user, visit the MDaemon product page to see what you may be missing!